butterfly, pony, bulldozer, boat and many others. 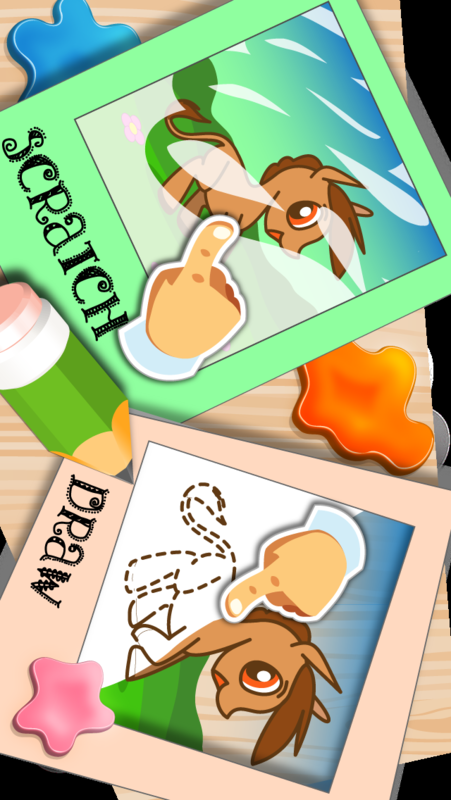 The program helps the child to trace the outline of the image with finger. Now drawing is very easy and fun! Simply keep your finger on the outline and the line will be smooth and beautiful! After outline is ready the picture can be easily colored! Also you can use the scraper tool to discover how the artist painted it. Producing smart and funny apps for kids.